It's been almost four years since I began writing for S&S in January or February of 2007. It's been a tremendous experience for me and hopefully some of you enjoyed my posts and maybe even learned a thing or two. All good things usually come to end and alas, so has my relationship with the blog. Purina has decided to move their sponsorship to other social media projects and I'll be working on some of those projects with them. 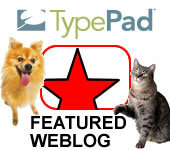 I'd really like to thank Laura Lee, Chris Padgett and Michael Crawford, all marketing executives with Purina for their support of the blog and my efforts in particular. I know that they have learned a great deal through their association with Scratchings and Sniffings. Even though I was raised in the city, I knew from an early age I wanted to be a rural Veterinarian. Spending summers on my uncle Red's farm, roaming around the farm with his Collie dog Pat, and James Herriot all helped my make that decision. My undergraduate work in Montana helped me determine the location. Interestingly enough, those same decision criteria are used by prospective Vet's today when choosing a rural practice path. Unfortunately, there are simply fewer and fewer people making those decisions. The old bugaboo about more women in the profession gets some share of the blame, but that misses the real point. Things have changed in rural America. Most of you know that I'm an avid cyclist. We have four bikes, make that five now, lying around the house. Three road bikes and now two mountain bikes. The combined value of our bikes easily exceeds the combined value or our motorized vehicles. By a lot. I've got a love hate relationship with mountain biking. On one hand there is nothing more enjoyable than cruising on some sweet mountain single track like I did this summer in Wyoming and Montana. In the winter I ride almost daily up on Boston Hill overlooking our little town in the mountains of South West New Mexico. Finding the right Pet Health Insurance Plan can be vexing for many pet lovers. They can be pretty confusing and getting the right mix of coverage that you can afford can be a challenge. PurinaCare Pet Health Insurance just made that task a lot easier. Since mid summer that have added plans and added choices for existing plans that can help you afford good coverage for you pet. For starters they've added an accident only plan that is super affordable. I got a quote for Miles and at the $100 deductible level and 20% coinsurance (the amount I have to pay after the deductible) it would cost only $12.50 a month to protect him should he get hit by a car or tangle with a rattlesnake or a pit bull. That could save me thousands. Be sure to look at the list of exclusions on this plan to make sure it's right for you. Nope, I'm not talking about Beau, the First Dog, or the last winner of Best in Show at Westminster. I'm not talking about the Labrador Retriever, number one in AKC registration. I could be talking about Miles, but I'm not. I'm talking about Canis latrans; the Coyote. These close cousins of our domestic dogs are undeniably the most successful wild canid on the planet. Over the last 200 years they have expanded their range to include the entire continental United States. Formerly residents of the West and Western prairies, they now live from Maine to Florida on the East coast and everywhere in between. We just got back from a month on the road with Miles. While it's great to be home, we had a great time on our travels. We stayed with friends most of the time and only spent four nights in motels. Good thing our friends are pet friendly. If we had met Amy and Rod Burkert of GoPetFriendly.com before the trip we probably would have had an easier time of it. 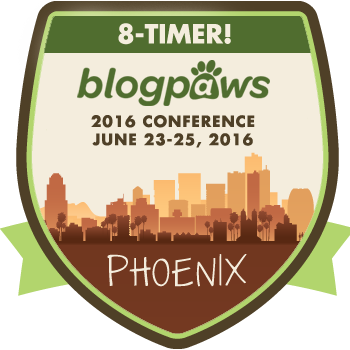 We ran into them at Blog Paws and they are a wealth of information. They even have a cool tricked out Winnebago to travel in style. We traveled in a Subaru Outback, the last third of which was devoted to all things Miles. We had to cram all our camping, fishing and biking gear into the remaining cubic feet. I was really envious of the travel trailer Amy, Rod and their two dogs kick around in. Miles got into something last night. We'd just arrived in Missoula Montana to visit friends and prepare for our backpacking trip into Glacier National Park. We were out behind my friend's house walking Miles in a wetland area thinking how lucky we were to have this place close at hand. Until we got back to the house. About twenty minutes after we finished our walk, Miles developed a condition called urticaria, or hives in common parlance. He had a bit of angioedema, too. That means his face was swollen and his eyes were really puffy. Chris got very worried, of course. I was a little worried, but having seen this before, less so than Chris. Most cases of hives go away on their own without any treatment. You don't have to look far to see the damage done by the Pine Bark Beetle in Wyoming and Montana. In fact, the damage done by these beetles and their relatives can be seen throughout the West, including Western Canada. When Miles and I hiked up into the Wind River Range the damage was striking. In some places it looked like half the Lodgepole Pine trees were dead. The Lodgepole is not the only species at risk of course. Pine Beetles and their relatives attack a variety of conifers in the West. It's not often that we come across a dog that makes Miles look small. We're in Jackson Wyoming, actually Wilson Wyoming, visiting our friends Mike and Elli and Elli's son Ben. They live on a mountain side overlooking the Snake River valley. Miles loves it here and he's got the run of the place along with Lucy, a really interesting dog. Lucy is a Turkish Akbash and if you've never heard of that breed you are not alone. I'd never heard of one, either. Lucy belongs to Dave, a talented painter, who lives and paints in Mike and Elli's studio apartment on the property. Miles and I were visiting our friends, Rick and Rosie, and their dog Fletch, in Pinedale Wyoming. Fletch is an 8 year old Golden Retriever and Miles and Fletch hit it off immediately. Must be something about the retriever gene. Fletch has something else in common with Miles, too. He started out as Rick's and Rosie's son Travis's dog and since Travis is in transition mode, much like our daughter Claire, Fletch currently resides with the grandparents. Rick and I took the dogs on a three day trip into the Bridger Wilderness on the West side of the Wind River Mountain Range. Any true wilderness buff has to have a Wind River Trip on his resume to be considered legit and I'm glad I've finally joined this club.